Increasing numbers of conservative evangelicals are denying basic tenets of classical Christian teaching about God, with departures occurring even among those of the Calvinistic persuasion. James Dolezal's All That Is in God provides an exposition of the historic Christian position while engaging with these contemporary deviations. His convincing critique of the newer position he styles "theistic mutualism" is philosophically robust, systematically nuanced, and biblically based. 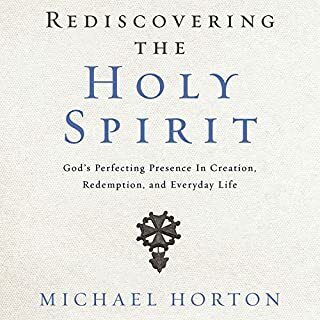 In this book, Michael Horton guides readers through a preliminary exploration of Christian theology in "a Reformed key". Horton reviews the biblical passages that give rise to a particular doctrine in addition to surveying past and present interpretations. Also included are sidebars showing the key distinctions readers need to grasp on a particular subject, helpful charts and tables illuminating exegetical and historical topics, and questions at the end of each chapter for individual, classroom, and small-group reflection. What did you love best about Pilgrim Theology? Michael has a great way of explaining deep topics without overwhelming the reader/listener, as long as you don't mind (painlessly) expanding your vocabulary in the process. The pace demands the listener pay closer attention than some would prefer (but that is more of a criticism of the potential listener than this author). Fortunately he keeps things quite interesting. I started listening on the release date and kept it on continuously to the end, pausing only to sleep. Can I give this book SIX stars??? 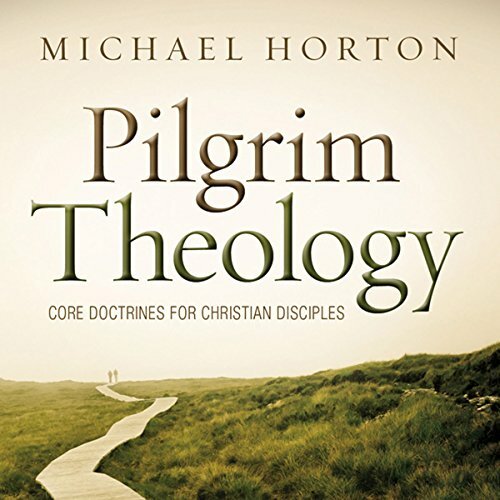 What other book might you compare Pilgrim Theology to and why? Most anything by R C Sproul - written for those of us who haven't graduated from Seminary but secretly wish we had. Have you listened to any of Vicas Adam’s other performances before? How does this one compare? I have no previous experience with this narrator. 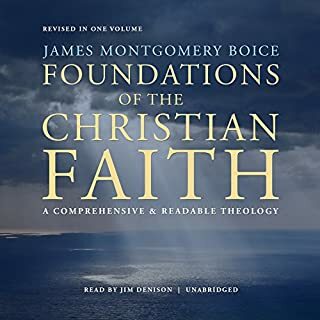 He did an above-average job with this book, but credit should be given to the author for writting in a style that is more conversational than most Theological texts. I appreciate Michael's treatment of the Gospel itself, which I gather is something few church-goers could accurately define, much less communicate clearly. Mike Horton is a brilliant thinker and great writer. I am disappointed with this audio book - wish I had read the book instead. One thing is that sidebars and lists that work well in print don't work as well in audio. Also the narrator is not a great fit for this book - too flat, not getting emphasis in the right place, and not pronouncing ancient names in the commonly accepted ways. Nevertheless it's a great book. Terrific overview of Reformed theology. Concise, clear, and biblical. Reader is not great, however. Too slow of a pace, and gets weird when reading a quotation. Horton explains "both ends" of theology. Yes, it is easy understandable theology but not "dummy" theology. Each doctrine he explains objectively various sides such as evangelical, roman catholic etc. and then paves the way for his pilgrim theology with biblical, historical and logical arguments. What was one of the most memorable moments of Pilgrim Theology? I got both the audible and print copy. The content is so rich and has many gold nuggets that I decided to buy a paper copy of it. This was a text book for one of my seminary classes. The whole class considered it to be an excellent overview of mid-level theology with end chapter questions that kept you thinking. I liked it so well I purchased two other books by Mr. Horton. Thoroughly enjoyed the content and presentation. 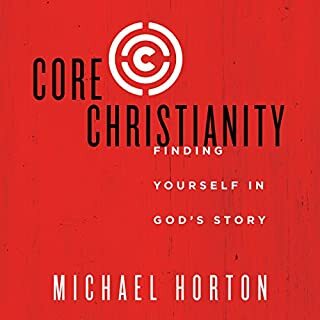 Michael Horton has produced a thoughtful and well written overview of Christian theology emphasizing the reformed position. I appreciate how he informs and deals squarely with alternative positions and viewpoints. Vicas Adam has done a superb job with his presentation of the material. I would be happy to find more work presented by Mr. Adam. Although the reader of this book is very articulate he butchers a ton of words that are from Scripture including names of books and names of persons. Whenever he reads a citation quoted in the book from Scripture he basically yells it out. My ears did not appreciate that when I was listening with my earphones in. 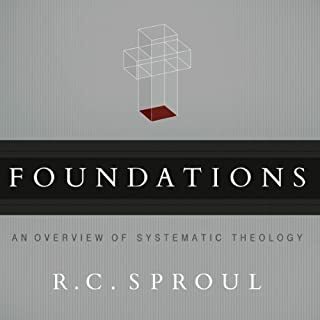 This book is a good basic introduction to reformed theology and presents a concise view of other positions contrary to reformed theology on various doctrines. If you want any kind of in-depth analysis on a particular doctrine you will need to look up a different author. 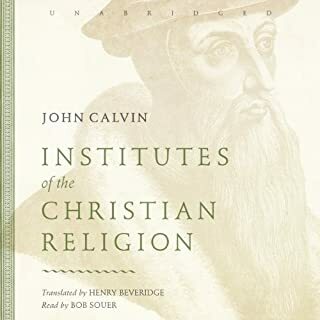 For an exhaustive view of reformed theology I'd recommend John Calvin's Institutes. You can listen to it on audiobook for only a short 60 hours! Comprehensive yet very readable. Great primer for the Christian faith. This book has been a real encouragement to me, I will recommend it to my friends. If you could sum up Pilgrim Theology in three words, what would they be? No characters in this one. I thought that the audio recording could have been EQ'd much better. Many plosive "pops." So many that it was distracting. Additionally, I did not care for the narrater's pronunciation of "God" with a tall "O" (Gawd) as opposed to a short "O" (Gahd). This, too was very distracting. No. The richness of the source material is something I have needed to savor and reflect upon. Purchasing the physical copy has allowed me to read at a slower pace, digest the information, highlight and make notes. 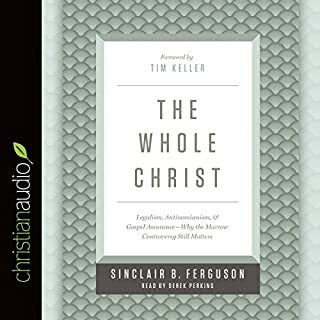 This is an excellent book, but I'm afraid the audio version did not allow me to enjoy it fully. Better production could have helped. Again, the audio was not EQ'd well at all. Excellent systematic theology book! It is very clear and insightful. Michael Horton has a great wisdom. This book is also gospel-centred. I have listened to it once and starting to listen to it again from the beginning. It is sooooooooooooo goooooooooooooooooood! Systematic Theology of the Reformation in context. Pilgrim theology has a healthy respect for Calvin and the Reformation. It seek to place this in a modern context by looking at the perceived common paradigms, which continue to influence contemporary culture. It seeks to be accessible to lay people and for group study. It fails to give the proper place to post millennialism and to the Reformed eschatology, which is surprising because the Reformers had featured large up until the end. I am really enjoying a second listen and it has helped me to scrutinise some thorny issues. Should be a must listen for all Christians. Recommended for Christians who need a solid and well researched source of Biblically consistent systematic theology. This was a great presentation of theological perspectives on many contested issues in orthodox christianity, arguing for the reformed position from a place of trying to objectively weigh the honest beliefs and merits from other points of view. Very informative and refreshingly humble perspective.